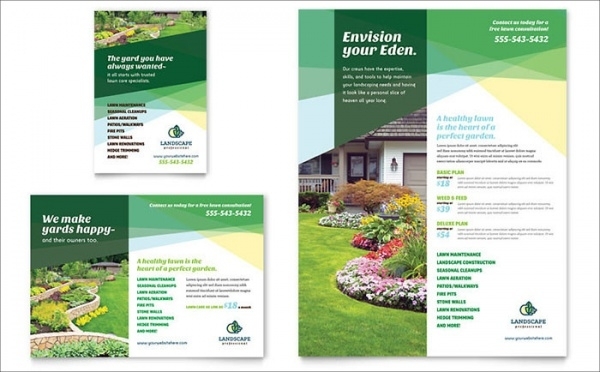 Make use of the lawn care flyers to promote your business in a fascinating way. With these marvelous flyers in your library, you’ll never have to worry about designing the advertisement flyers from the scratch. You can use these flyers to showcase the exciting new offers your lawn care company is providing to the potential customers. 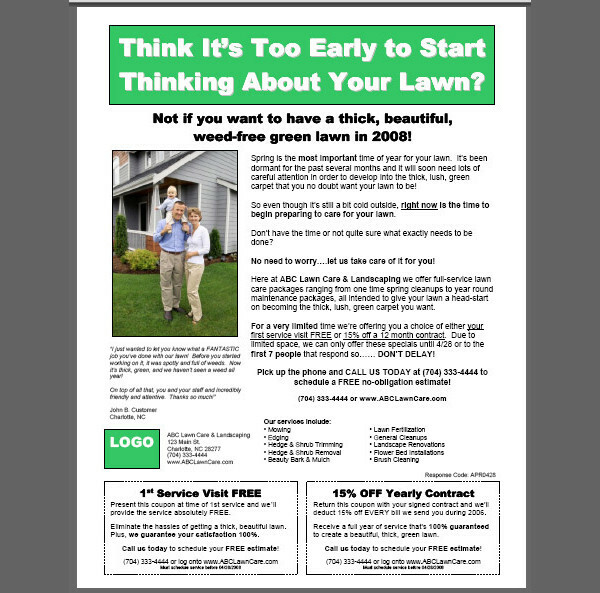 Using the lawn care flyer it is easy to target a large number of audience at the same time and bring your lawn care services to their attention. You may also see Holiday Flyers. 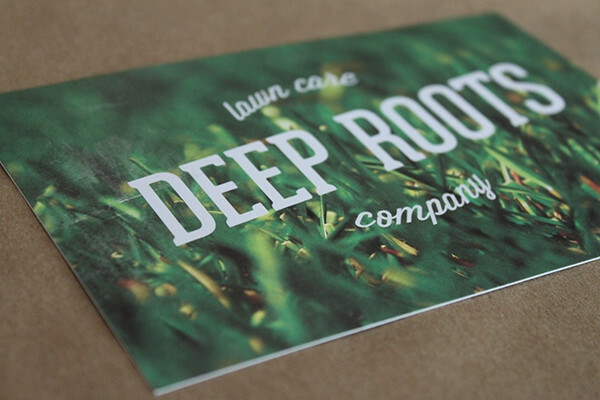 Here’s a simple and elegant lawn care flyer that can be used for creating a strong brand identity. It features the background of freshly cut grass that portrays the idea of lawn care services perfectly. 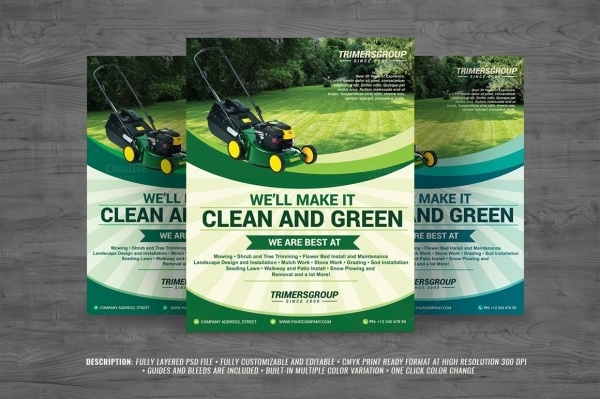 This brilliantly designed lawn care flyer is suitable for the corporate business. You may also see Insurance Flyers. Here’s the most amazing carpentry marketing lawn flyer that will take your business to the next level of success. It displays the long green grass, which makes the flyer look attractive and refreshing. It consists of appropriate spacing for imprinting the name of the company along with details of its excellent services. You may also check Travel Flyers. 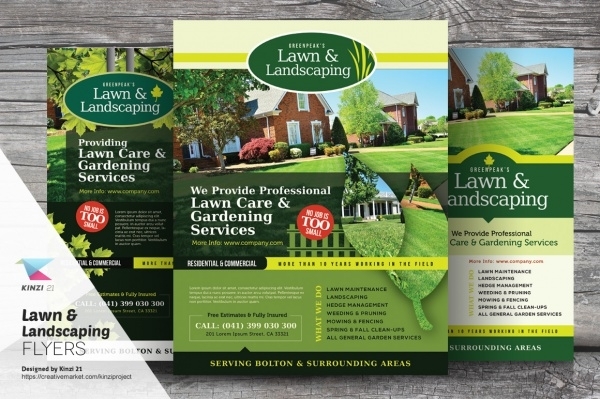 This is a fully editable lawn care flyers, which will help you to obtain the perfect flyer for your lawn care business. It is customizable, so you can always modify it according to the specification of your project. 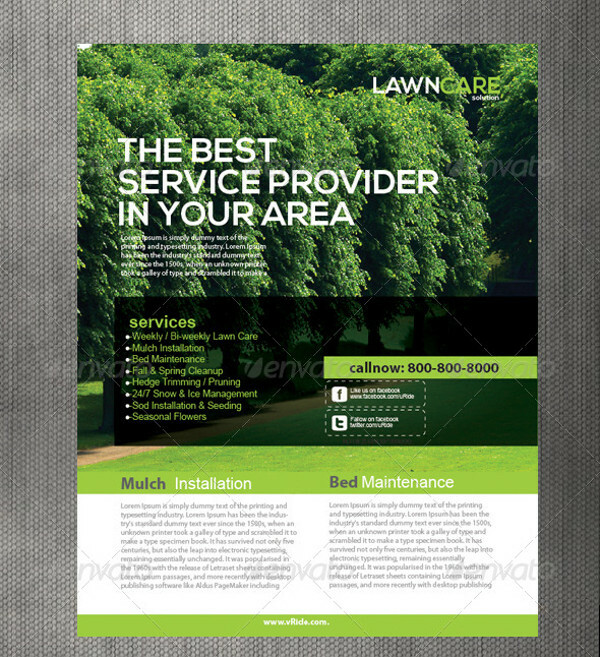 Download this PSD Photoshop lawn care flyer, just by clicking on the link mentioned below! Here’s the minimal lawn care flyer, a perfect selection for promoting the corporate business in an appealing way. It comes with an elegant layout that features white and green color. 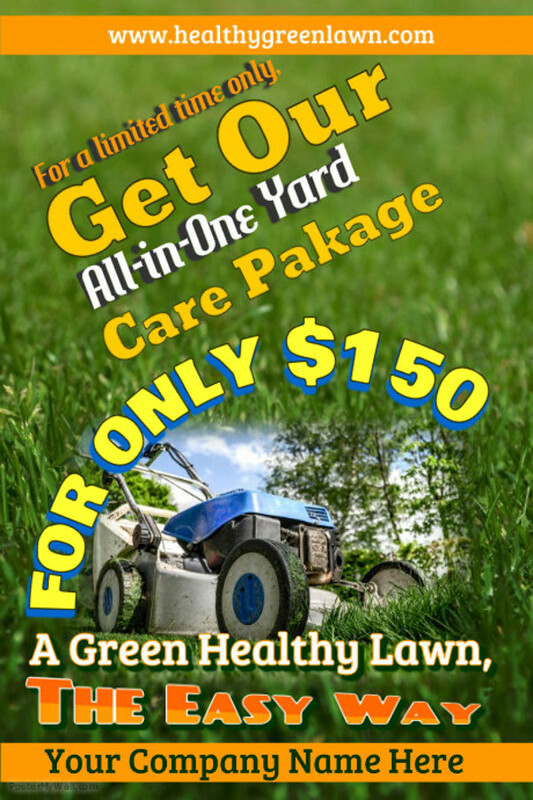 This creatively designed lawn care flyer is fully editable in word 2013 and illustrator cs6. Download it now, by clicking the link stated underneath! 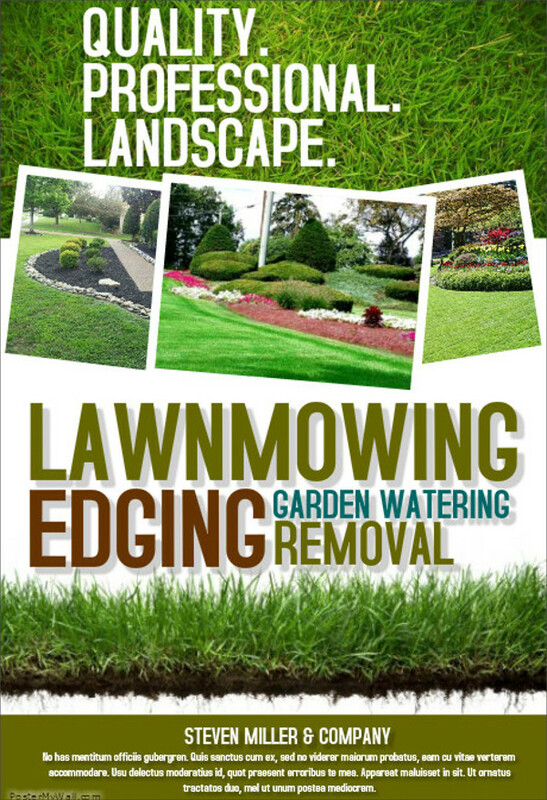 Here’s a multipurpose lawn care flyer, which can be used for promotion of the garden, lawn or landscaping services. It is obtainable in three design variation. It is fully editable and allows changes in photo placeholders, texts, and color-schemes. This modern flyer uses the free and standard font to showcase the informative content. 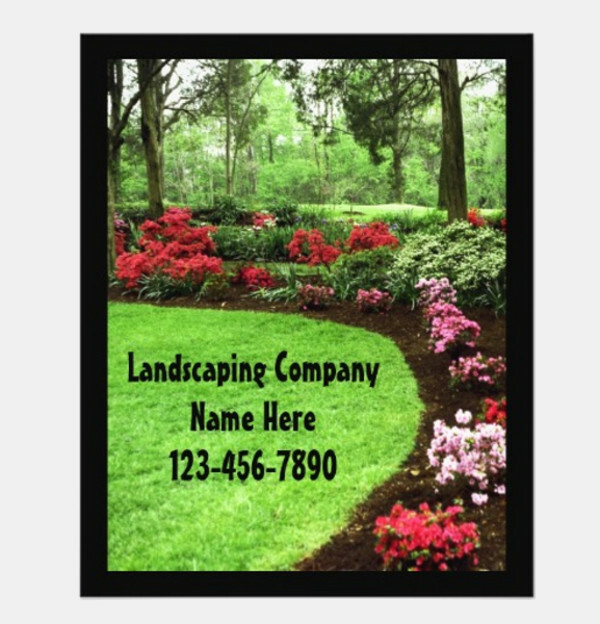 Are you looking for an amazing lawn care flyer? Well, this fully editable flyer is the perfect one for you. 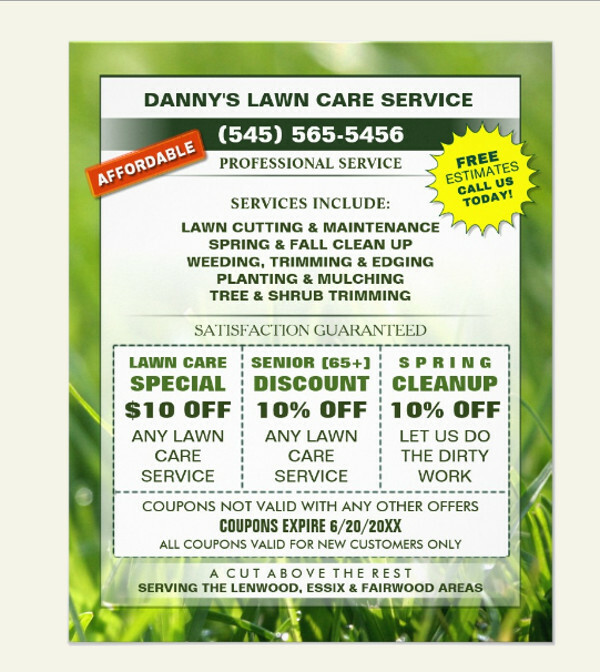 This lawn care service flyer can make your services look different and better from your competitors. Use this customizable PSD Photoshop flyer to grab the attention of the audience without much effort. This is a creatively designed lawn flyer that can come handy for multipurpose. The modern and elegant appearance of the flyer is all you need to attract new customers. This PSD Photoshop flyer comes in high quality and print ready format. It has multiple color variation and allows color change just one click! 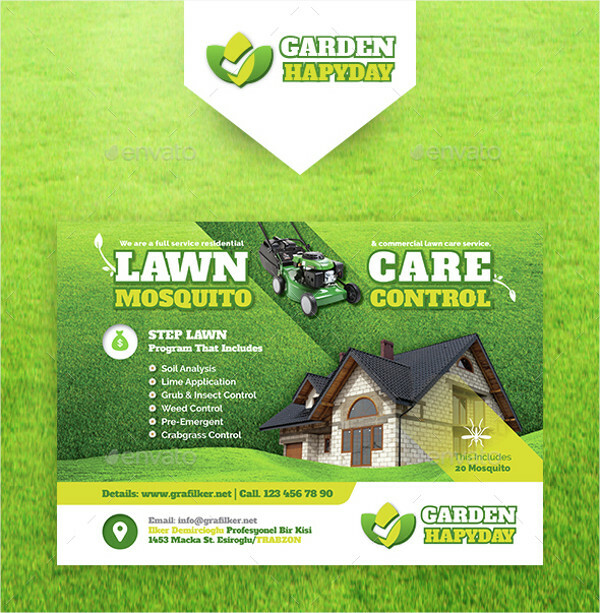 This is an impressive lawn care flyer template, which will give your corporate business a great promotion and advertisement. It showcases eye-catchy green color in the background. It is fully customizable and editable, making it easier for the designers to use it. 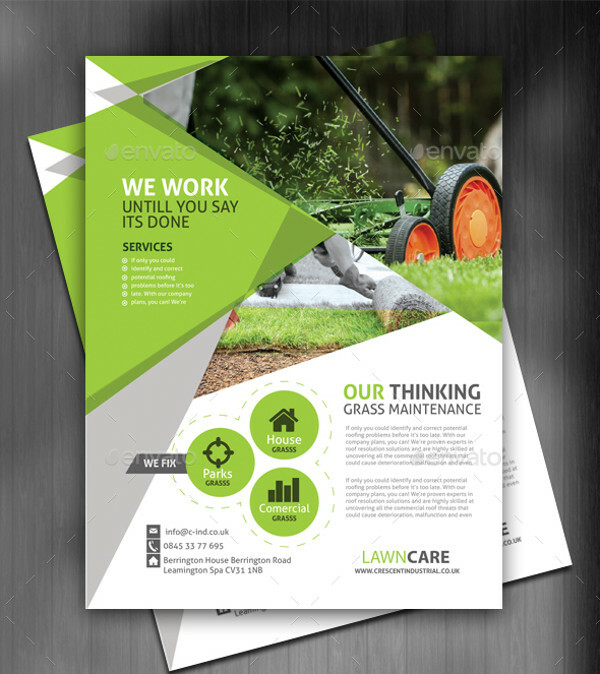 Here’s a clean, creative and modern lawn care flyer design, which you can use to advertise your gardening business or any other business. 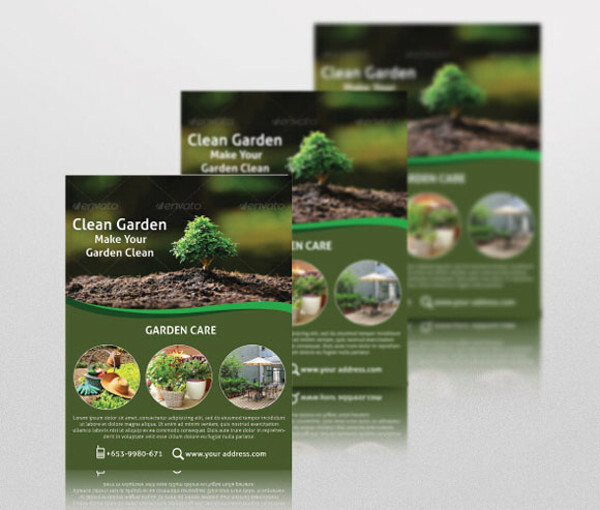 It is ready to use PSD Photoshop flyer, which can present your gardening services to the audience in an interesting way. 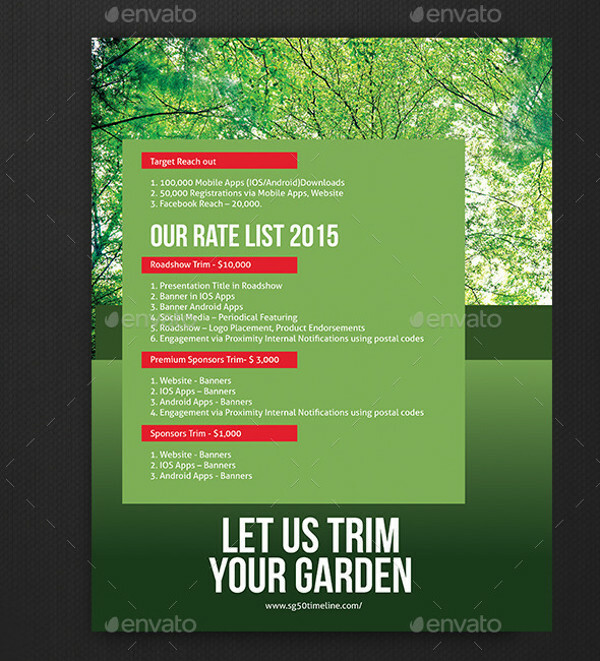 Here’s a clean, modern and stylish flyer bundle suitable for the landscaping services, lawn care agency or gardening services. 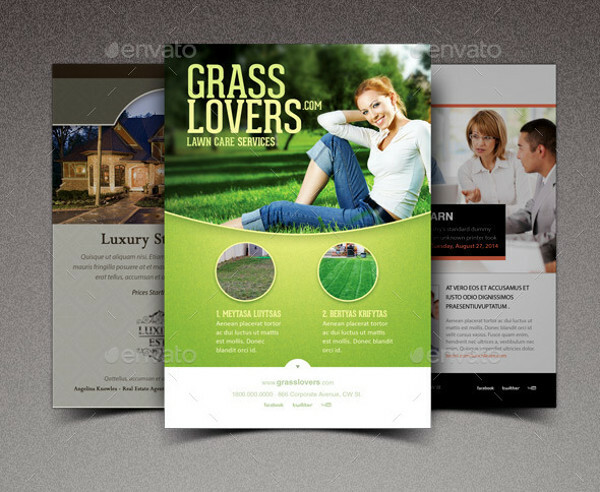 It features PSD Photoshop flyers that are all layered for easy editing. You can also download individual flyers just by following the link stated below! 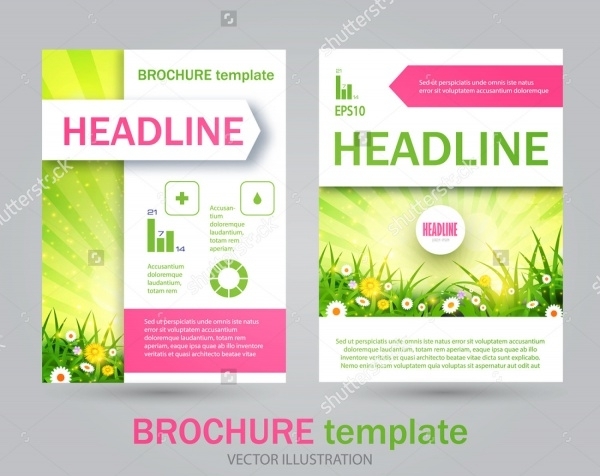 No doubt, all of these stunning flyer templates can help you to create wonderful promotional flyers in no time. 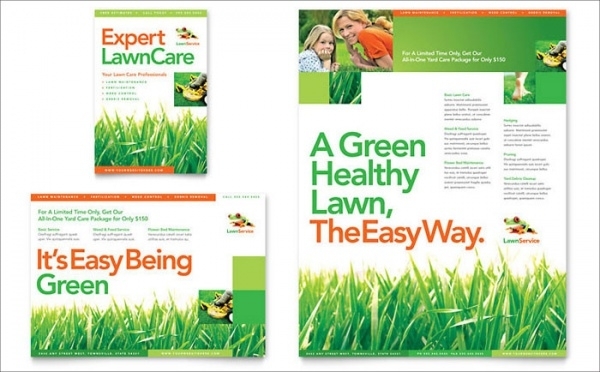 Rather than browsing the internet for every new project, it is better you download all of these intriguing lawn care flyers today only and stock them up in your library for your forthcoming projects!